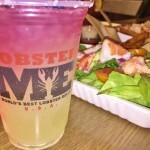 Lobster ME is an extraordinary take away ‘fast food’ restaurant – it’s exceptional because I actually wanted to eat there and thoroughly enjoyed the food. 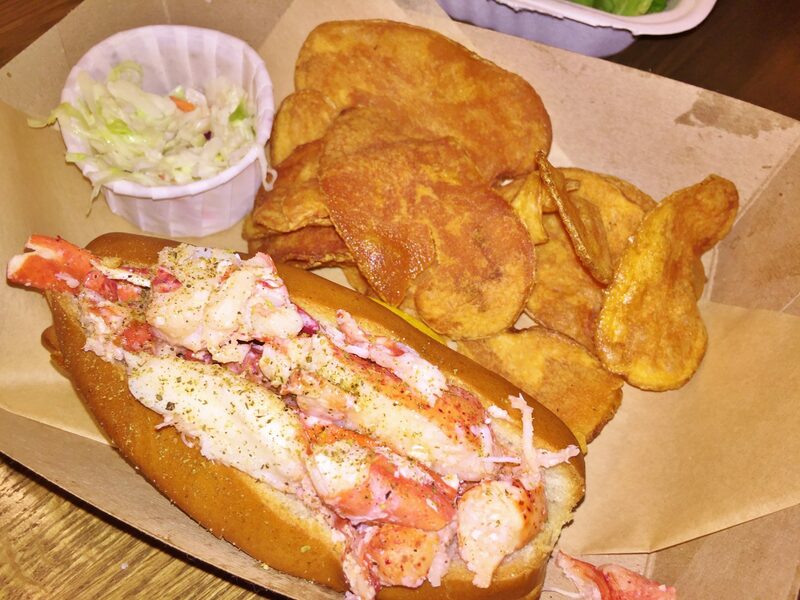 This isn’t your ‘average’ joint, it offers Maine lobster in every variation possible. Located in the Venetian Grand Canal Shoppes and also in Miracle Mile at Planet Hollywood, this busy eatery offers slick service and freshly cooked food while you wait. To begin why not enjoy a cocktail with a twist? 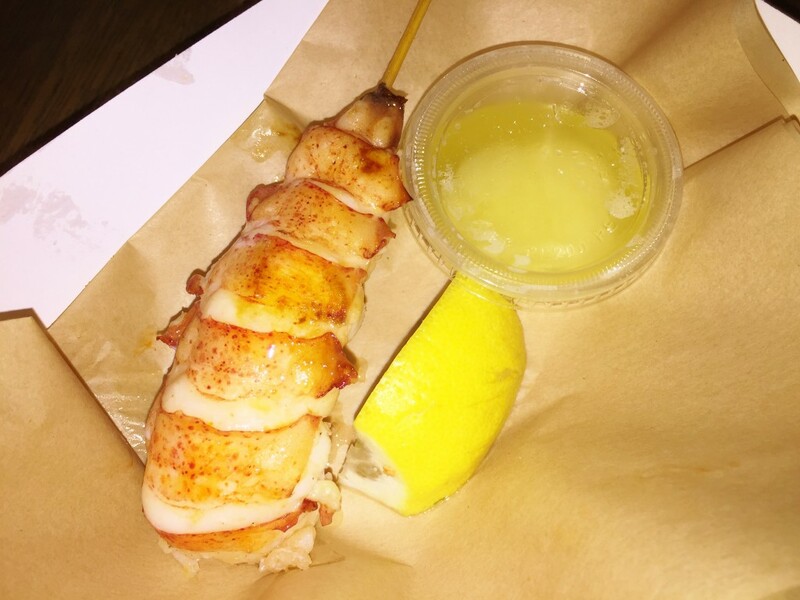 In fact it has a lobster-tail as a twist! 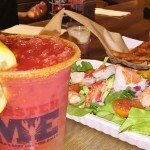 The Lobster Mary cocktail was a very cute take on the bloody Mary, it certainly has punch! My favourite though was the blueberry Margarita. So refreshing and fruity – a very naughty treat! 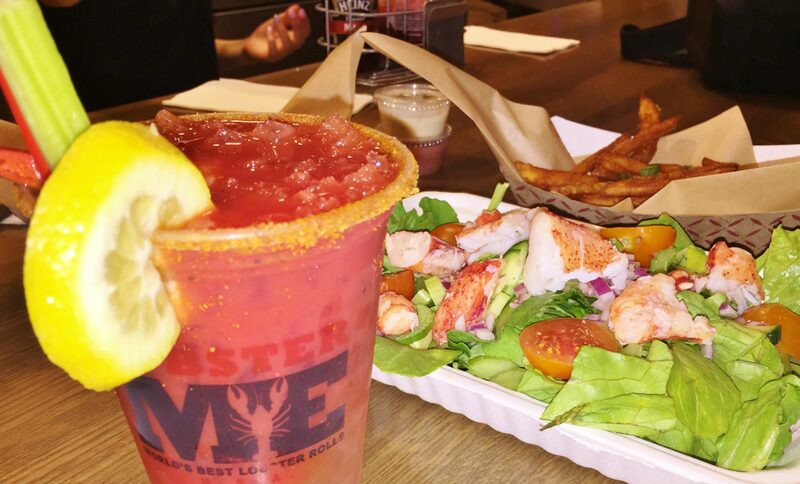 Who knew – lobster and alcohol in the same glass could work? Well it does at Lobster ME. 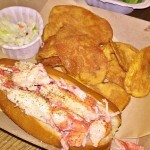 The menu has many fishy options including shrimp and lobster salads, tacos, soups & sandwiches. 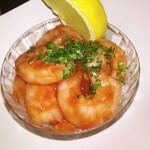 As you can see above (pic 2) the shrimp with a simple sauce is divine. 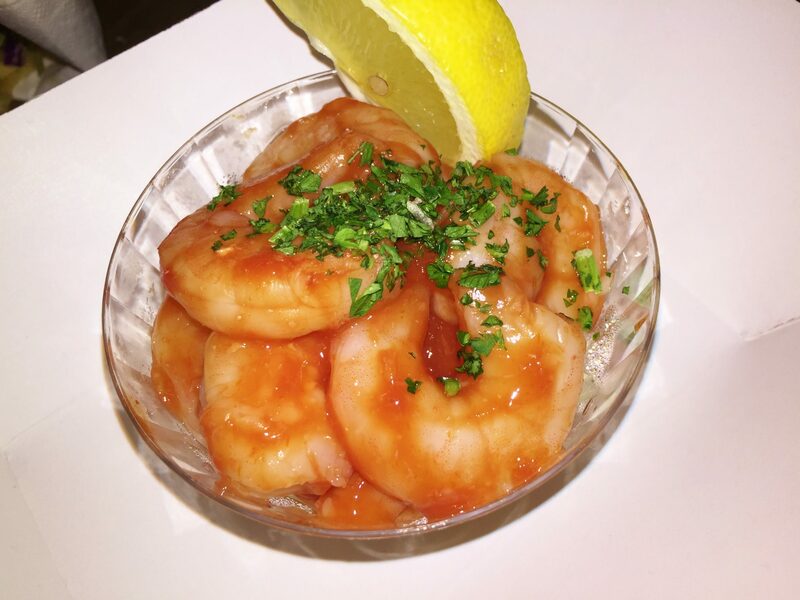 Great produce doesn’t need whistles and bangs – these meaty, fresh & moreish shrimp were divine. The fish comes in grilled and deep fried options. 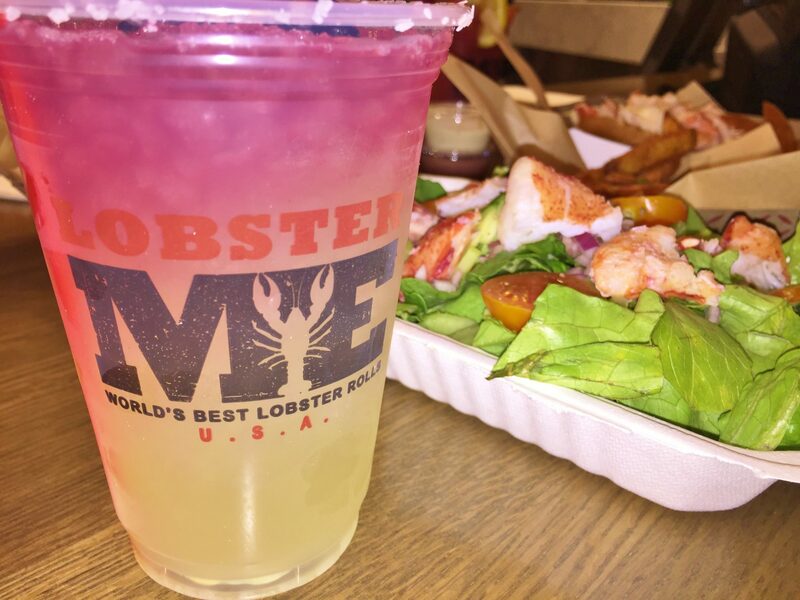 Don’t miss the shrimp and lobster sliders – great & delicious if you’re in a rush. Next you have to try the Lobster salad – so fresh, crisp and delicious! One of my favourite things on the entire menu. Next came the lobster sandwich (freshly cooked in-store as you wait) with crisps / chips on the side as well as a small coleslaw. 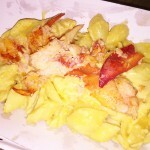 Finally the Lobster Mac N Cheese was a massive hit at our table. A classic done beautifully. The highlight of my meal was the ‘Lobsicle’. 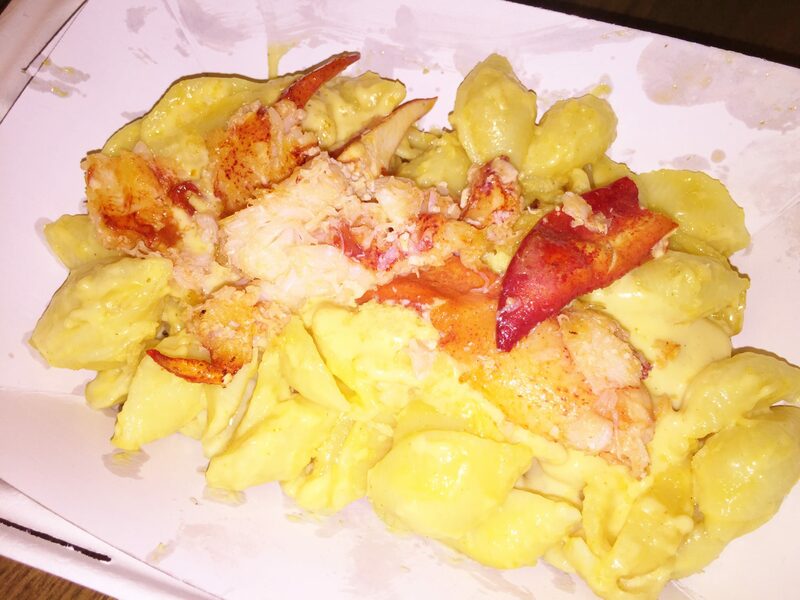 For $15 you get some of the most delicious and tender lobster I’ve ever tasted! 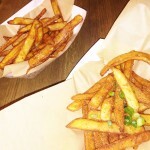 I could return for this (healthy) fast food snack every day! 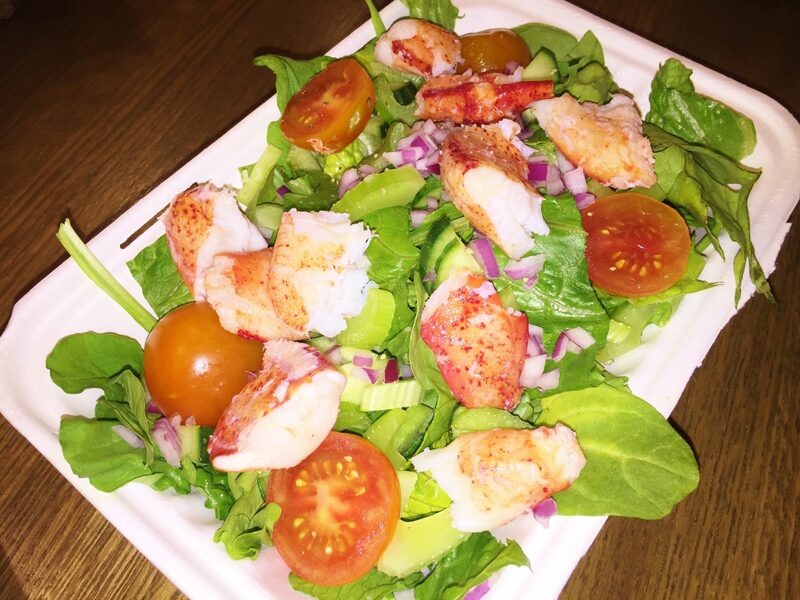 What I love about Lobster ME is that it knows what it is and does it brilliantly. It’s unpretentious but offers exceptional quality food for the price. The service is also friendly and more than helpful. If only EVERY take away franchise could have food and service this good! 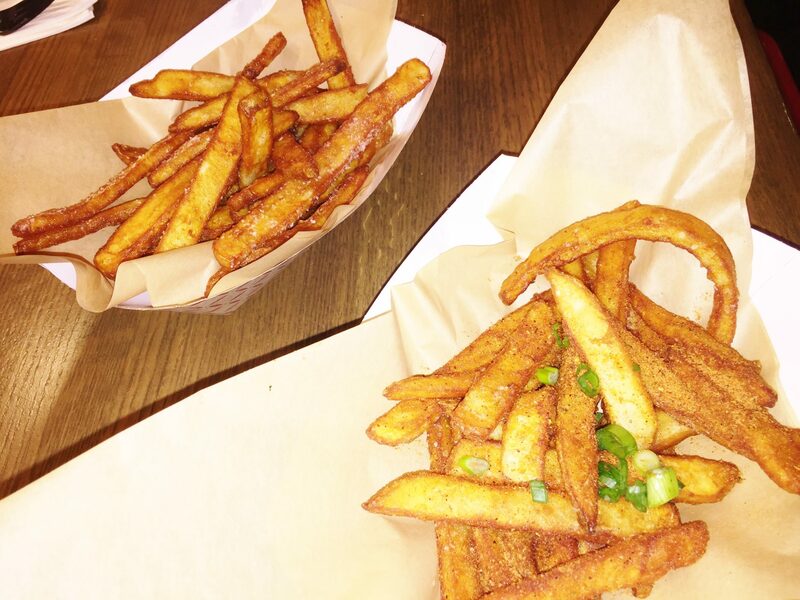 This should be the benchmark for 2015 takeaway fast food!